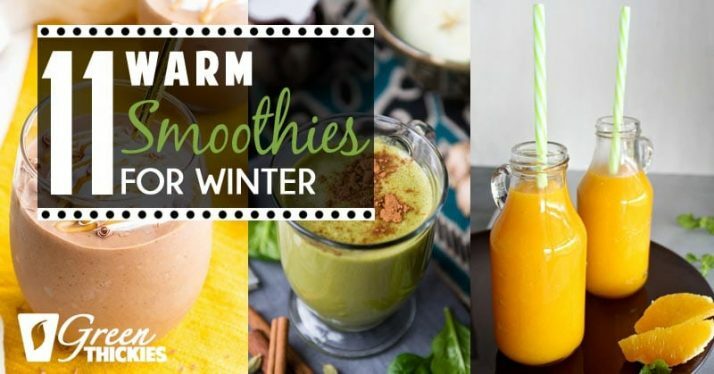 These warm smoothies are perfect for cold winter breakfasts. I get it. The last thing you feel like doing on a freezing cold winter day is drinking a freezing ice cold smoothie made with frozen fruit from the freezer. We all know how good smoothies are for our health. 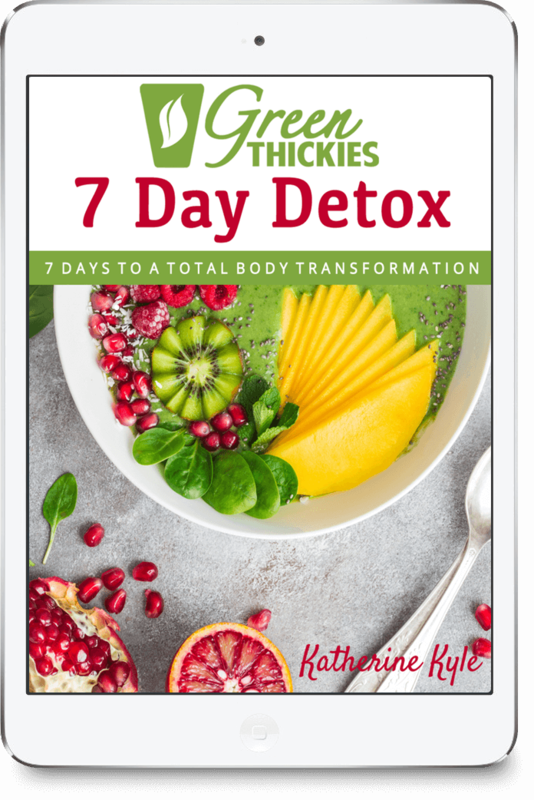 They provide us with massive amounts of antioxidants which protect us from winter bugs, give us a great deal of natural energy, and help keep the winter bulge off our bodies. But it takes a hardy soul to chug down a glass of cold blended fruit in the winter. And yes, we have heated houses now, so in theory, we should be warm enough to drink cold food in the winter. But despite my heating being on 24/7 in the winter, I still feel a lot colder than I do in the summer, and I just crave warm stodgy comforting winter stodge. But winter stodge will give you a podge and take your health down a notch. 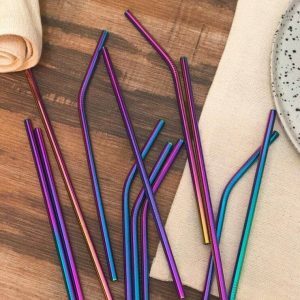 So here’s the perfect solution you’ve needed all your life and just didn’t know about! Takes a while to get your head around doesn’t it? Are you conjuring up images of warm fruity smoothies right now. I bet that doesn’t sound appealing to you. 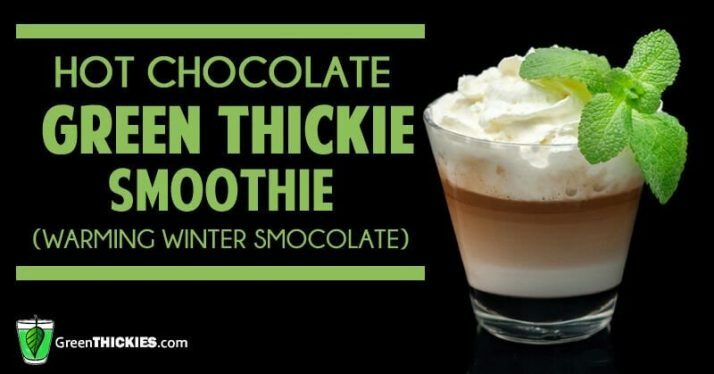 But what about this type of smoothie instead? 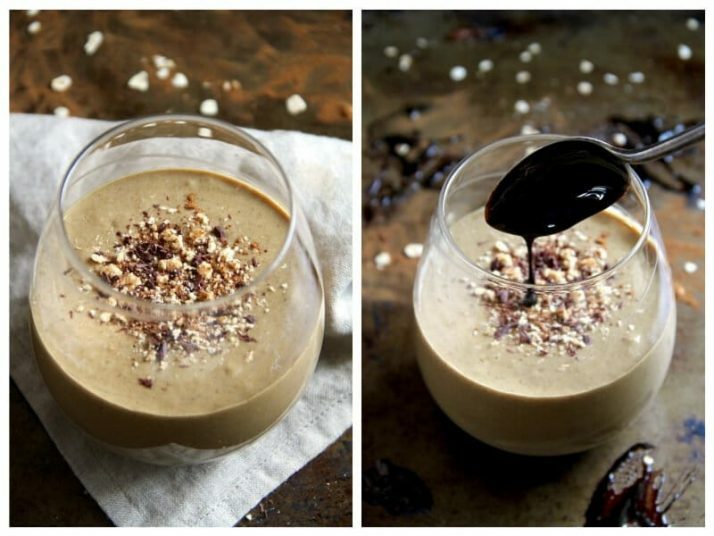 A warm oatmeal chocolate peanut butter smoothie. Is that hitting the spot? The great thing about smoothies is you can hide the taste of certain ingredients and emphasis other tastes. So yes you can still have our antioxidant rich mangos or berries in our smoothies. But that’s not what we’re going to taste. 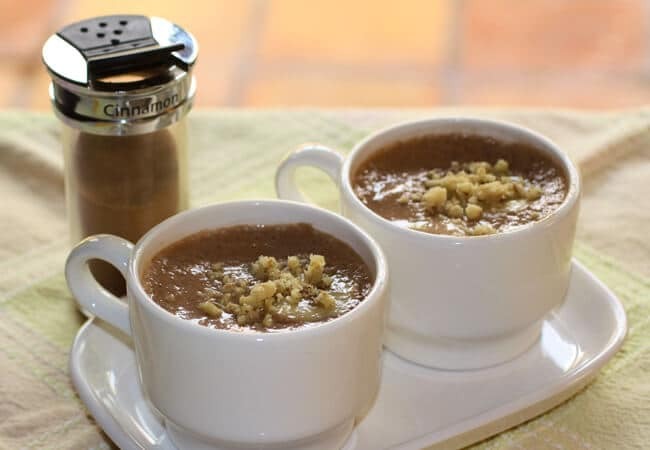 We are going to taste chocolate, almond, vanilla or oatmeal which lend themselves to being heated. So we can really trick our taste buds into action here. And just to make a point – have you ever had a warm apple pie? Or a warm blueberry tart? See fruit can be enjoyed warm. You just have to have different expectations when it comes to drinking a warm smoothie. What we don’t want to do here is take our smoothie and pour it into a pan and boil it to death on the stove. That would completely kills off the antioxidants and other nutrients that are present in raw food. But what we can do is warm up the smoothie slightly so it feels warm, but it’s not warm enough to kill the nutrients. 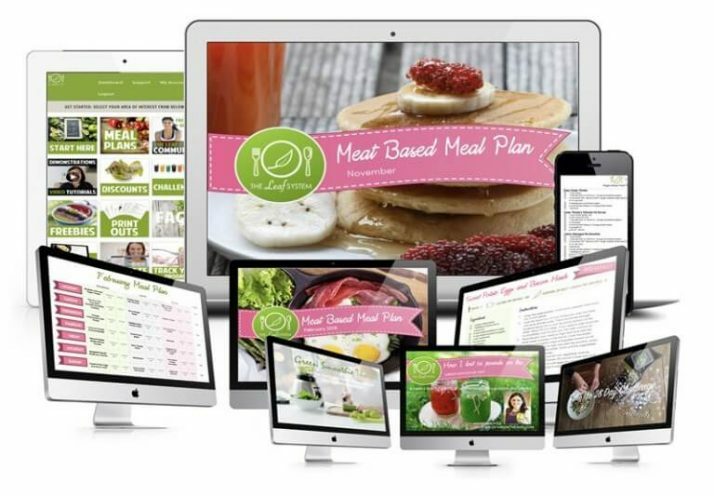 Food is considered still ‘raw’ if has not been heated above 40–49 °C (104–120 °F). 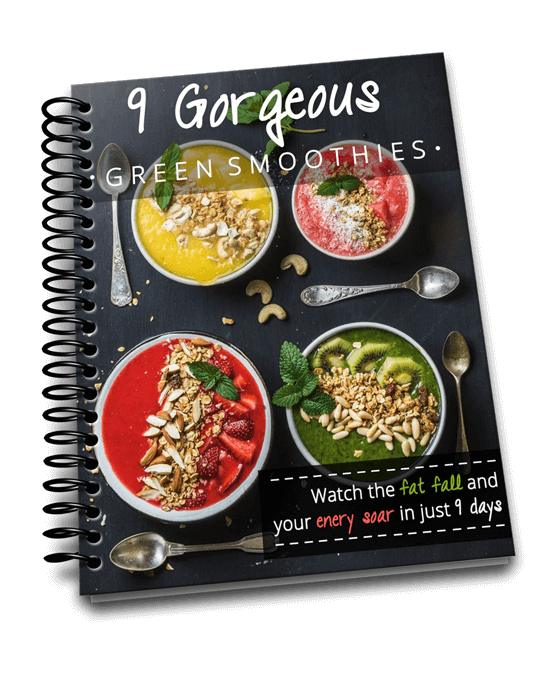 But don’t worry, we don’t even have to measure the temperature as there is a very easy way to tell if the smoothie is still raw very quickly. First I’m going to show you 2 ways to warm up your smoothie. All you need to do to warm up your smoothie in your blender is just blend for longer than you would normally. If you have a high powered blender, you might need to blend for about 3 minutes. 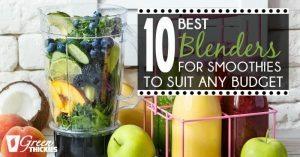 For all other types of blender, you might need to blend for 5-10 minutes to warm your smoothie up. If you want to speed up the warming process, stay away from frozen ingredients, or let them thaw first before blending. What you do here is to blend your smoothie as normal. 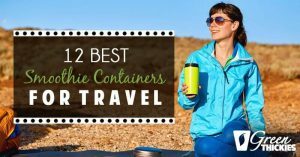 You might choose to make a large batch and store it in the fridge. Then when you are ready for your warm smoothie, you can pour your smoothie into a pan and put it on the lowest heat. Constantly stir it and try it every so often. If you can still eat it without having to blow it to cool it down, it is still raw. And if you over boiled it, oops! Nevermind. It’s still healthier for you than an alternative breakfast I’m sure. 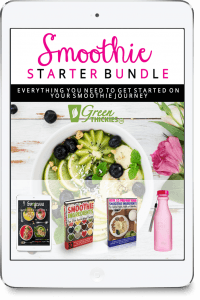 You don’t actually need any more equipment other than your blender (see 10 Best Blenders) to warm up your smoothie, but these items are going to make life much easier when you’re making your warm smoothies. Cute Stonewear Soup Mugs: Treat your smoothie like a soup and eat it in style with a mug bowl and spoon. Research also shows when you eat liquids with a spoon it is more filling. 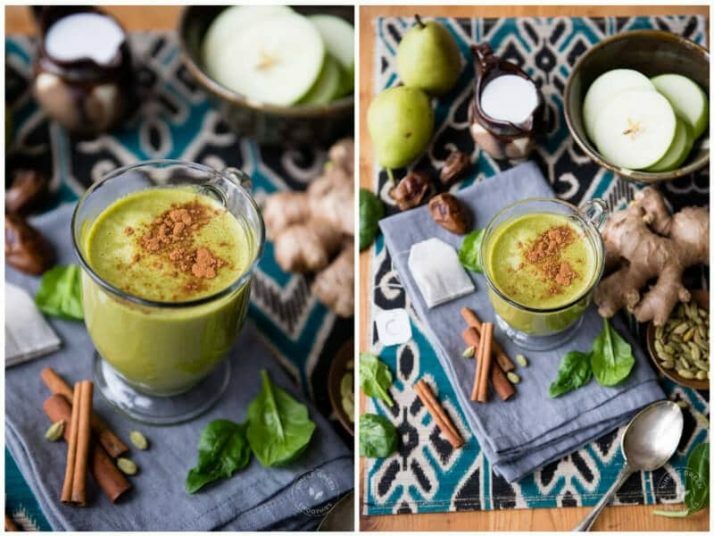 Here are 11 warm smoothies that will have you feeling toasty in no time. 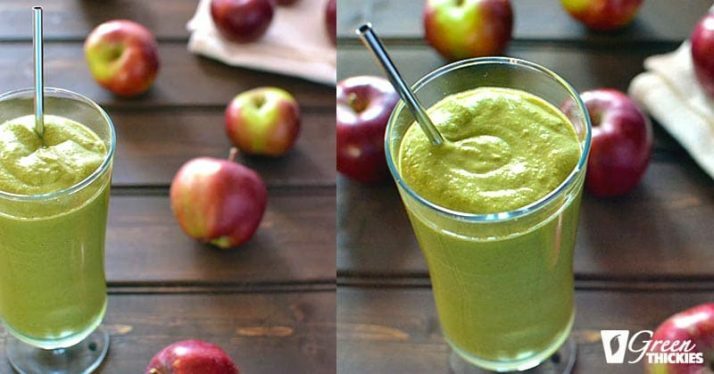 This spicy Apple Smoothie is guaranteed to warm you up during the cold months of winter. 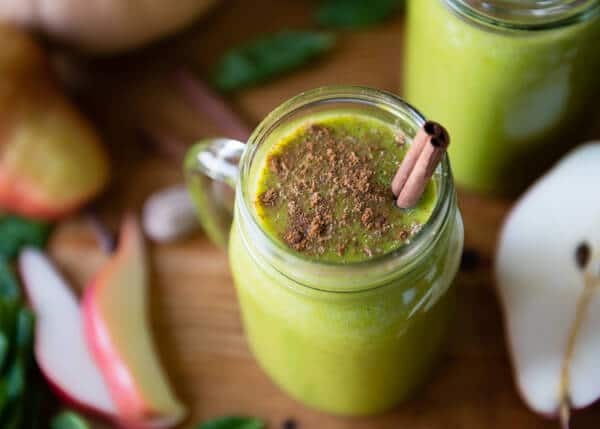 A warm comforting smoothie that is full of healthy fruit and spinach, plus just the right amount of spices. This warm banana smoothie recipe tastes just like banana bread yet takes only a few minutes to make. 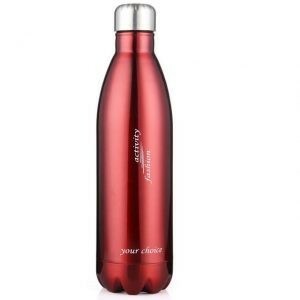 It’s dairy-free and has no added sugar, so it’s the perfect way to start your morning! 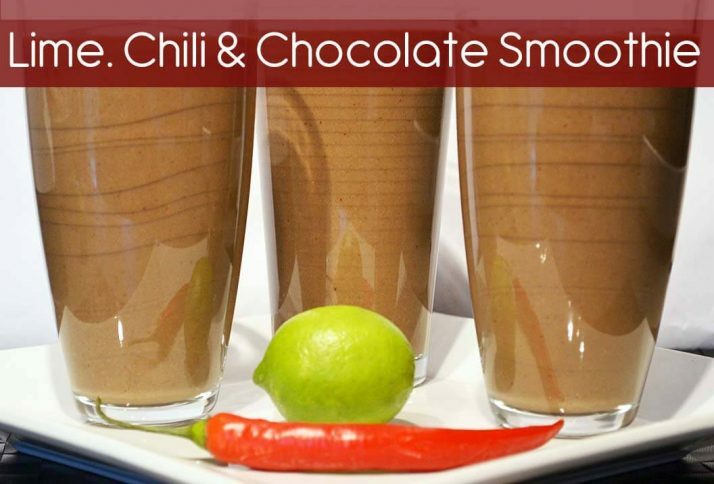 Of course anything with chocolate in it is usually a winner with most people (apart from my husband) but this one is definitely a posh chocolate smoothie with undertones of zingy lime and a kick from the chili. Your taste buds will really thank you for this one! 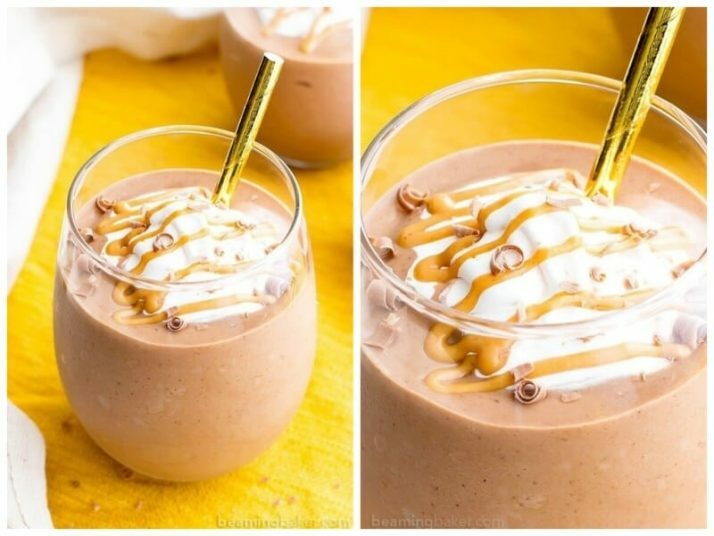 Peanut Butter Hot Chocolate Smoothie (V, GF, DF): a super thick & creamy protein-packed smoothie that tastes like hot chocolate in PB milkshake form. Vegan, Gluten Free, Dairy-Free, Protein-Rich, No Sugar Added. 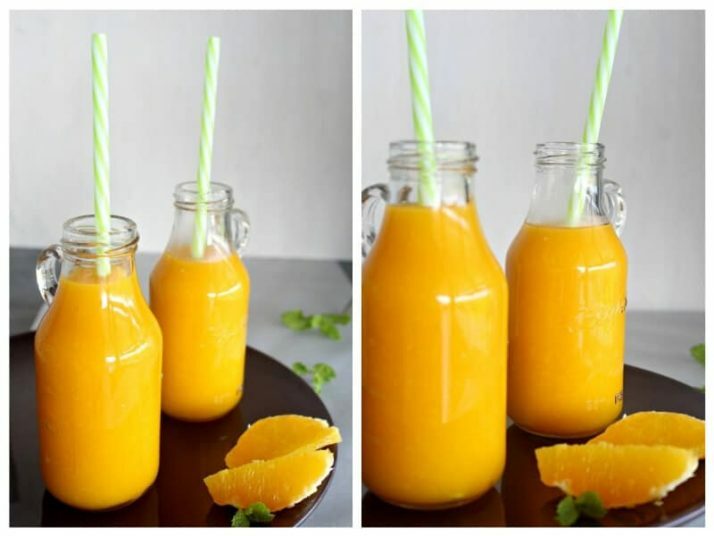 A hot breakfast smoothie. Simply Yum! 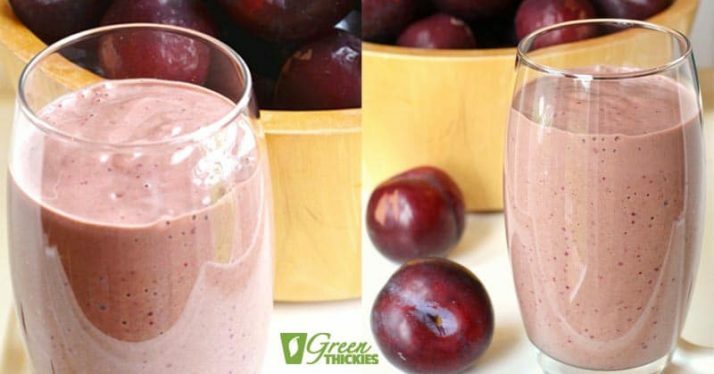 This smoothie takes minutes to prepare and is so good for you! If you like you can add a green tea bag to the boiling water to vamp up the antioxidants, a jasmine or chamomile tea bag would also work well. If your patient enough to soak these oats in milk the night before, that 5 minutes of prep makes this recipe incredibly creamy. 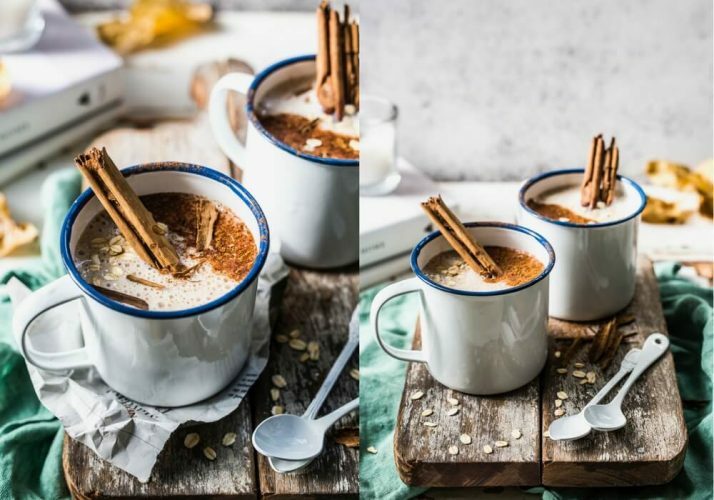 This vegan gingerbread breakfast smoothie is warmed up on the stovetop to create a creamy and comforting drink that’s packed with vitamins, minerals, fibre, and plant based protein. 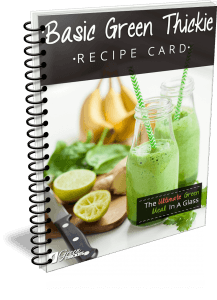 It makes a healthy and delicious breakfast or snack! 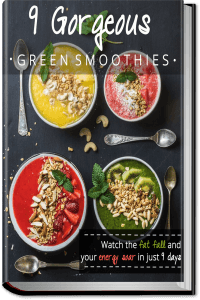 This is a hot chocolate smoothie that is thick and filling, sweet and comforting and doesn’t even resemble a fruity fresh light summer smoothie. 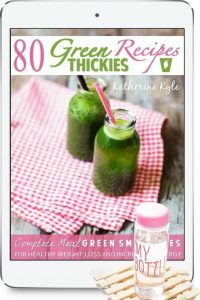 This smoothie still has healthy fruit, hidden greens and best of all – it’s a Green Thickie. 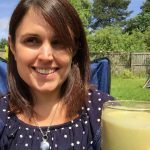 If you enjoyed this article, 11 Warm Smoothies For Winter: Cold-Weather Breakfasts please let me know your thoughts in the comments. I’ve never had a warm smoothie – sounds good. Thanks for sharing at the What’s for Dinner party. Can’t wait to see what you’ll bring this week!